Leading lights of the 70s Canterbury scene get set to revisit one of their best albums. The press release says the band will be performing “a number of songs” from For Girls Who Grow Plump. Does that mean you won’t be playing the whole of the album? set. But that’s something to work out in rehearsals. 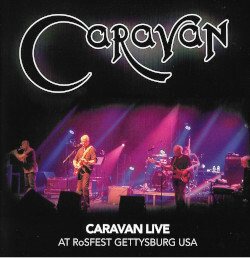 Do you consider that album the band’s fifth to be Caravan’s best? Personally speaking I do because I wrote most of it [laughs] but In The Land Of Grey And Pink  is probably the most successful album. For Girls Who Grow Plump was produced by David Hitchcock (of Genesis and Camel fame) but didn’t you try to mix the album yourselves – with disastrous consequences? Yeah. That was a late night at Chipping Norton after some drinks at a local pub. Richard Coughlan [drummer] and I pressed the wrong button and thousands of pounds worth of tape flew off the spool. We had to wind it on again by hand and pretend that nothing had happened. 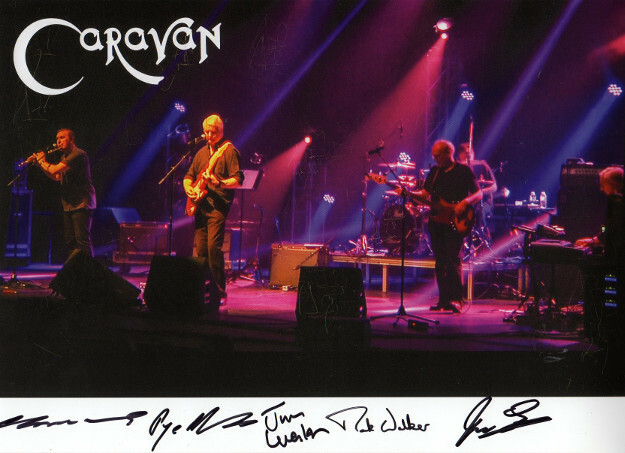 1972 are Caravan’s stalwarts. Tell us about the relative newcomers? Jan Schelhaas has worked with lots of bands including Thin Lizzy and is more of a rock keyboardist than Dave Sinclair. Our bassist Jim Leverton was in Packet Of Three with Steve Marriott and brings a strong blues base. Mark Walker [drums] is the new boy. He’s young and really keen. possibly say something about the perception of your band? Oh I don’t care about that. We just do what we do. Our fans have become like family to us. They’re the best in the world. You can waste time with observations like that.. we’ll just carry on playing. Caravan have existed for 44 years now. Is it feasible for the band to reach 50? The tour begins at London’s Queen Elizabeth Hall on January 8. This entry was posted in News on January 2, 2013 by caravan.